First, a bit about why I'm posting about Margaret of Parma today. 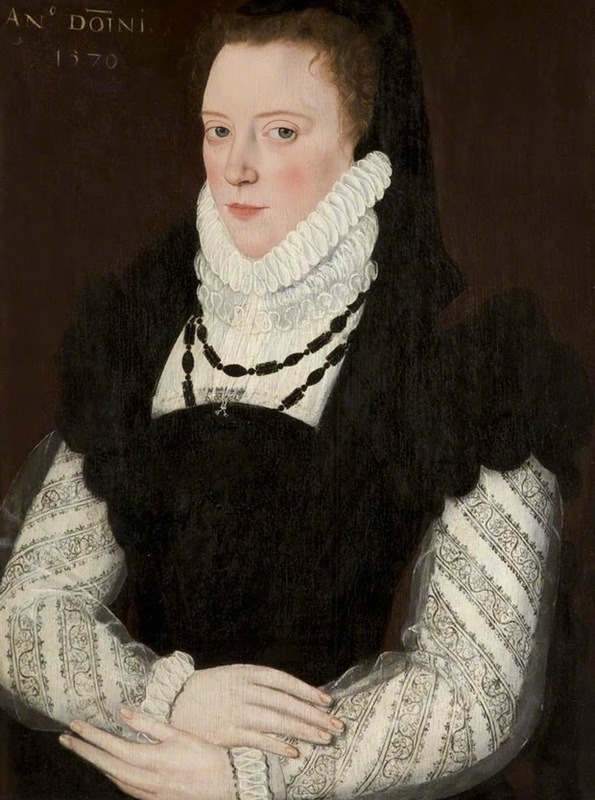 On 13 September 1598, Margaret of Parma's half-brother, Philip II of Spain, died--and in the interests of working in as many of my favorite historical figures as possible, I'm writing about Margaret of Parma today. The link isn't entirely haphazard, however, since--like so many Habsburg sisters, daughters, and aunts, including Philip II's daughter Isabel Clara Eugenia, about whom I posted yesterday--Margaret of Parma was a useful tool in the administration of the vast territories of the Holy Roman Empire. In 1527, when she was five years old, she was betrothed to Alessandro de' Medici, duke of Florence, and after the negotiations were finished and the contracts signed in 1529, she was sent to Italy; the two were married in 1536, but Alessandro was assassinated the next year, leaving Margaret a widow. The marriage was not a happy one, at least in part because Margaret herself would have preferred to marry another member of the Medici family. She gave birth to twin sons on 27 August 1545, Charles and Alexander, but only one survived. At the time she assumed the regency of the Netherlands for her half-brother, she was thirty-seven years old, and, as Henry Kamen, Phlip II's biographer, describes her, she was "thoroughly Italianised," and "almost masculine" in appearance: "She walked like a man and her enemies made unkind remarks about the thick growth of hair on her upper lip." More important than her physical appearance, however, she had been born in the Netherlands and proved a successful regent: "Duchess Margaret of Parma was . . . an excellent choice to govern the provinces which traditionally had thrived under princesses of the ruling house." Margaret left Italy to serve her half-brother in that capacity until 1567, during an extraordinary period of political and religious turmoil. Upon her retirement, she returned to Italy, where she became the governor of Abruzzo. When her son, Alessandro Farnese, was appointed in 1579 to serve as Philip's representative in the Netherlands, Margaret of Parma once more returned to her political role, in aid of her son. She functioned as head of civil administration while he assumed command of the military. In 1583 Philip II once more granted her permission to retire. She once again returned to Italy and died in Abruzzo, in the city of Ortona, in 1586.